I recently did some test assets for a tower defense game in development, just enough to do a beta version to show off (and potentially use to rope in some cash). The game didn't make it for a few reasons, so I figure the assets should live on in some form. Sorry for the lack of strict organization in the files--I'm afraid that will be an exercise left to the reader. 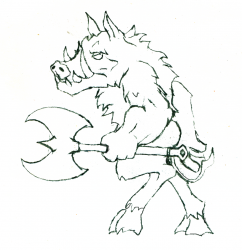 Special thanks to Surt, whose excellent, PD-licensed monster sketches served as great fodder for design inspiration. 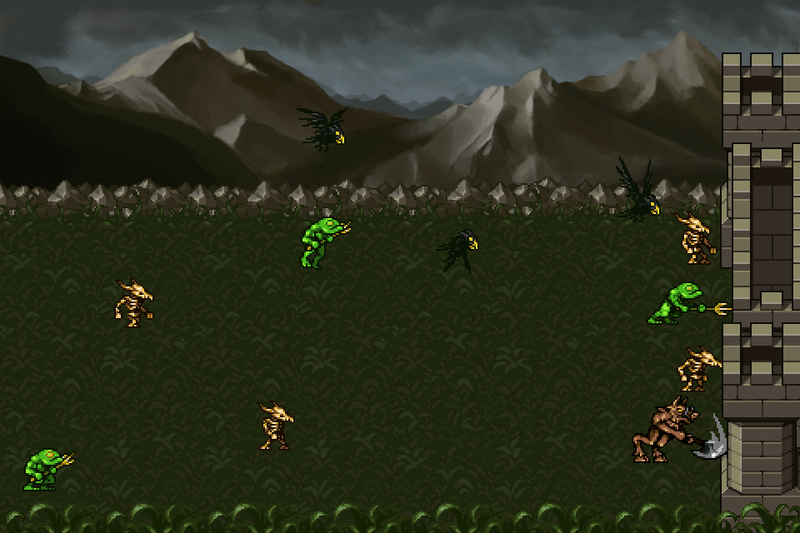 4 animated enemies, all with movement and three with separate attacks. 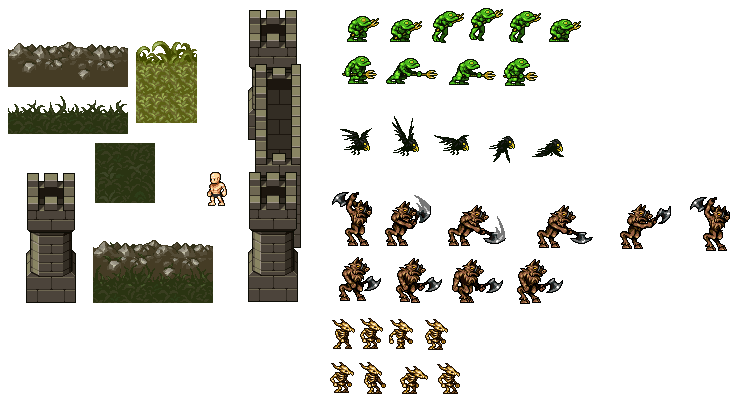 A few assorted foreground pixel art tiles including a tiling rock wall, some (bad) grass tiles and some plants, and a couple of castle turrets. 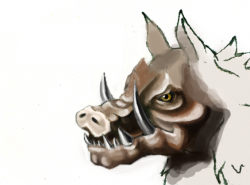 1 partially painted wart-o-taur concept piece. 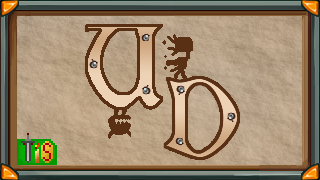 It was slated to be finished eventually but was used in its present form as a quick logo (the in-progress nature being sort of symbolic for the state of the game or something). That's what's available for now. To supply more than a basic game it would need more assets, but alas, I already sunk a fair amount of time into it and I've got other plans at the moment for unpaid projects. Love the bird, would like to see some sort of death sequence. Thanks Redshrike, I'll look at these to learn how to do animations better, and also inspiration to make some derivatives. The animated bird will give the programmer NotZed something to use when he get's around to implementing animated sprites in Dusk. I think animated sprites in Dusk will be like the idle animations in Battle for Wesnoth. So that bird is perfect! Awesome set, can you include that mountain background as well? Is it seamless? Godly work as usual red. Thank you very much for sharing. Awesome. The sprites get to live on. That's what they deserve, after you put the work in. Thanks Shrike! @cdoty: yeah, they could use some more animations to be a bit more widely useful--I've just got too many other things to deal with at the moment to add more unpaid work on top of it. @Zabin: awesome! Animated sprites would definitely be an interesting addition. @TheValar: As Surt said it's in the included files, just not part of the previews. It is unfortunately not seamless (since that wasn't a concern for its intended use). I don't think it would be too hard to make it work, but it would take time. @Sir: Yup, so it goes. I'm glad that OGA provides a venue to make it possible to do that. This is so good! I love it! 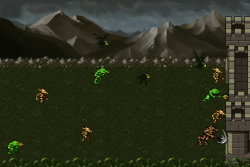 Can you make a small death sequence for the enemies? @AlexCons: Thanks, I'm glad you like them! Unfortunately, as I've said above I really don't have time to expand these at the moment. At least when it comes to unpaid work, my plate is pretty full. 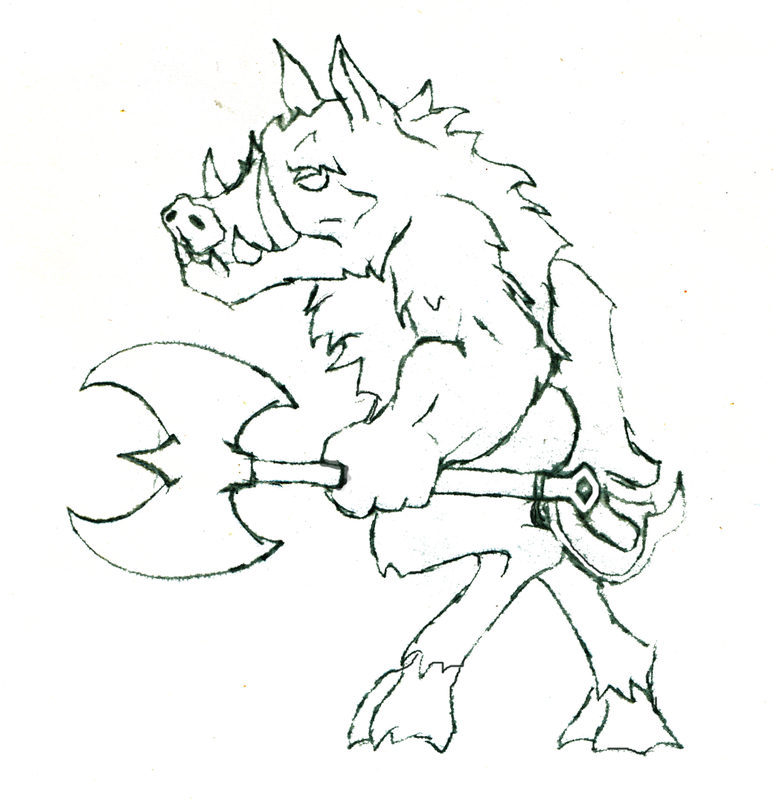 I wonder how hard it would be to make this into an LPC-usable asset... specifically the wartotar. Gives me ideas! Message me if you think it's a reasonable idea. That is so cool, bro!! Is there a hero that shoots the enemies? This are to good to be Free for commercial use. Just Awesome. I really like your works. I'm currently putting together some assets to incorporate into my own game, and you do such a great job that I would really like to try to put them to good use. I've tried to sprite in the past and im just lacking in talent. I dont even have a name for what i want to do yet, but have had some practice.. everything i had done in the past is pretty much lost from either theft or destruction.. I really appreciate your hard work.